The SugarCRM solution enables you to integrate the newest practices in your customer relationship strategy. A powerful and user-friendly web GUI using web 2.0 technologies. Feature-rich functionality that meets all the needs of customer relationship management including: sales force management, marketing automation (EMA), statistics and decision-making tools, customer service management. Tools to link your CRM with social networks such as Facebook and Twitter and more. Full compatibility with the main browsers on the market (Internet Explorer, Mozilla Firefox, Safari, Google Chrome). Enable all your staff members to access the shared knowledge base and to add to it, hence making them contribute towards a better performance of the company. Furthermore, the solution facilitates the sharing of business information between your head office, remote offices and sales representatives. Sales leads or commercial opportunities management. Capture leads directly from your website. Business activity management (phone calls, meetings, tasks to do, appointments and more). Business opportunity and deal management. Integration with common emailing solutions (Gmail, Lotus, Outlook, Thunderbird, and more). Marketing campaign management including emailing, direct mail, text messages and marketing events. Service tickets, notified issues and claims management. Workflow solution including process automation. Customizable dynamic reporting system, dashboards and statistics. Provide your sales representatives with a mobile desk including a planner and management and follow-up solution for tasks performed and tasks to do. The mobile application enables you to access your CRM solution offline. According to the industry analyst Gartner, SugarCRM is one of the ten leading global CRM solutions. SugarCRM is available as a commercial version and as a community software solution (Open Source). It is used by small businesses and SMEs, key accounts, public authorities and entities. Its commercial version is used by over 2 million users and 10,000 companies in 120 countries and 26 languages across the world. Since version 7, SugarCRM includes a new entirely overhauled user interface with many improvements and innovations. Version 8 further enhances this user interface and facilitates access to customer information. This new graphic user interface includes a panel for context-sensitive analysis that enables you to process in-context or general data from the application. It also enables you to access with a simple glance a chart of current business deals, the list of subscribers to an event from a given account or the LinkedIn profile of a contact. An official contributor and expert member of the Open Source SugarForge community since 2005, Blue note systems offers a full range of SugarCRM services. 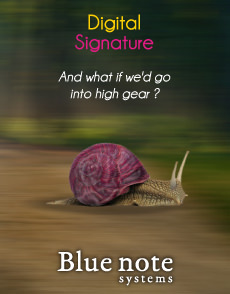 An official SugarCRM partner, Blue note systems offers security and experience. Our training consultants and project managers are all SugarCRM certified. Blues note systems helps you from the analysis and the definition of the objectives phase to the implementation of the solution, the training, the assistance and support. We help you get the best out of your customer service solution. We offer a full range of SugarCRM training programs to help you get the most out of your application. We offer face-to-face or remote single and multi-company training solutions. Furthermore, we also provide on-demand training programs specifically tailored to your needs. We assist our customers from their first steps to the full mastery of their SugarCRM solution to enable them to fully benefit from their solution within their trade. We draw on our training expertise, our knowledge of the trade and on an innovating, easy-to-use e-learning platform. We offer various course models that are adapted to the various needs, including e-learning, blended-learning, web conferences and face-to-face courses. We offer SugarCRM components and trade-oriented functionalities and modules to enable you to maximize your application and to adapt it to your environment and your business line. Lead scoring enables you to define a tailored automated scoring method to maximize your commercial and marketing approach. Geo-tracking of accounts, contacts and leads with multi-criteria selection and meeting creation functionalities. Anonymization of leads and contacts. Task management tool to ensure GDPR compliance follow-up. Summary sheets are accessible from an account, a contact or a lead to provide you with a 360° vision and all the related data. Training management modules and tools specifically tailored for training centers and organizations. The digital signing tool enables you to automatically send quotes to be digitally signed by email. Your documents are automatically archived by SugarCRM after signature. A Corporama connector enables you to access customer sheets and add lists of commercial leads created with the Corporama tool. Marketing automation connector: Mailjet, MailChimp, SendinBlue, and more. LMS and MOOC connectors : 360Leaning, Docebo, TalentLMS, and more. E-commerce connectors: integrate your CRM solution with your E-commerce website for price quote creation, order management, invoicing, fee collection and more. Gmail connectors: integration of the various lead, account and contact modules. Real-time or deferred dispatching of emails including email templates and tracking of emails read and links clicked. ID management and access control with various authentication methods. Connection with the company's directory, including Active Directory and LDAP formats. Text message sharing on customer mobile phones. Verification of the X.509 digital certificate on the user workstation. Full commercial management solution: Quote, order, delivery and invoicing management. Subscription management and recurring automated invoicing.